I have added leopard print in subtle doses to my wardrobe. A pair of heels here, a belt there. Basically the antithesis of a Lady Gaga exhibition-style effort. Oftentimes, I have been on trend pairing it with a contrasting pattern or bright color. 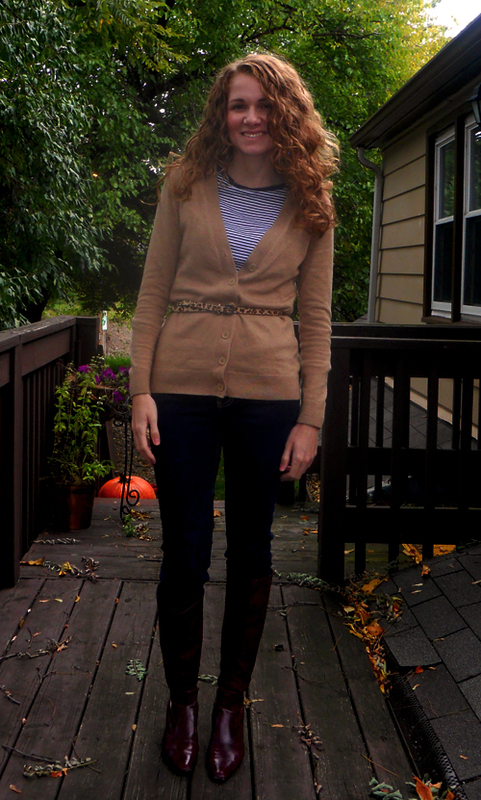 To mix it up for fall I have gone completely subtle. 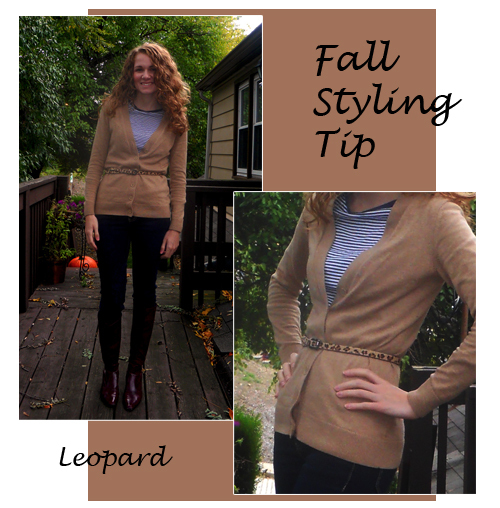 Pairing it with this neutral tan cardigan makes the belt look like it goes with the ensemble. I think there is nothing wrong with accessories looking like they go with your outfit, even though sometimes it is more fun to wear something loud that contrasts. The off-kilter look, which J.Crew has made popular with its style guide, is one of my favorite looks, but sometimes it’s OK to match.